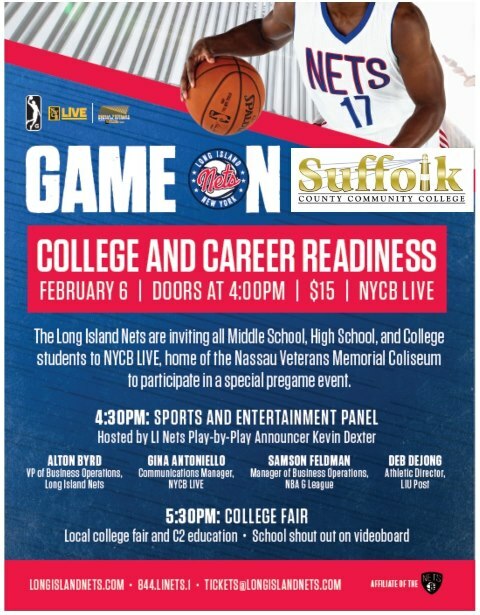 Posted on February 2, 2018, in Events and tagged Career, College Fair, Education, Long Island, Long Island Nets, Networking, Panel, State University of New York, Suffolk County Community College, Uniondale. Bookmark the permalink. Leave a comment.